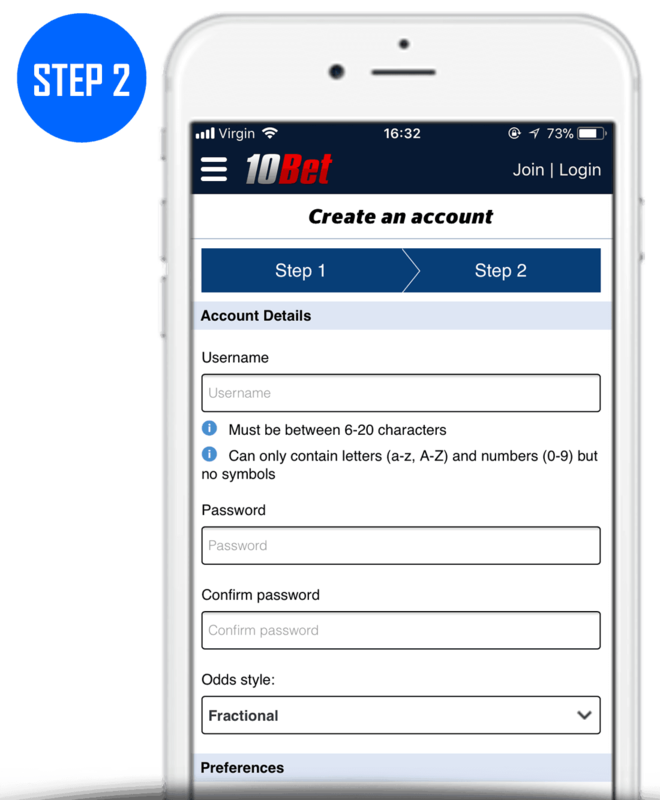 In this article we explain all you need to know about the 10Bet free bet sportsbook welcome offer of a £100 deposit bonus. 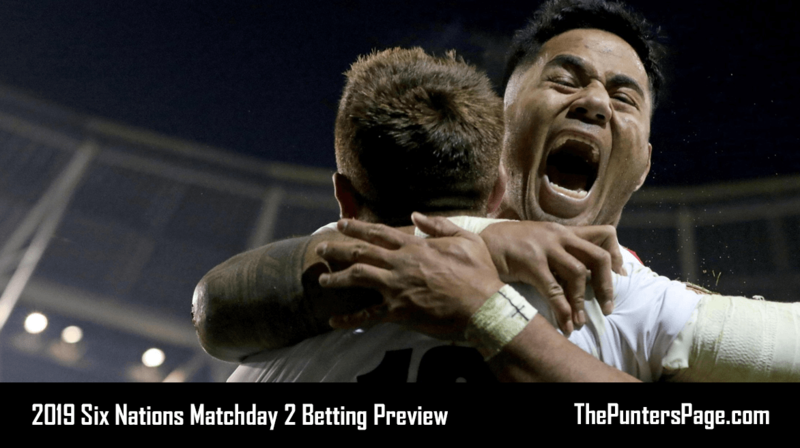 This includes a step-by-step guide on how to claim the promotion, how to use free bets with 10Bet as well as the key terms you should know about. 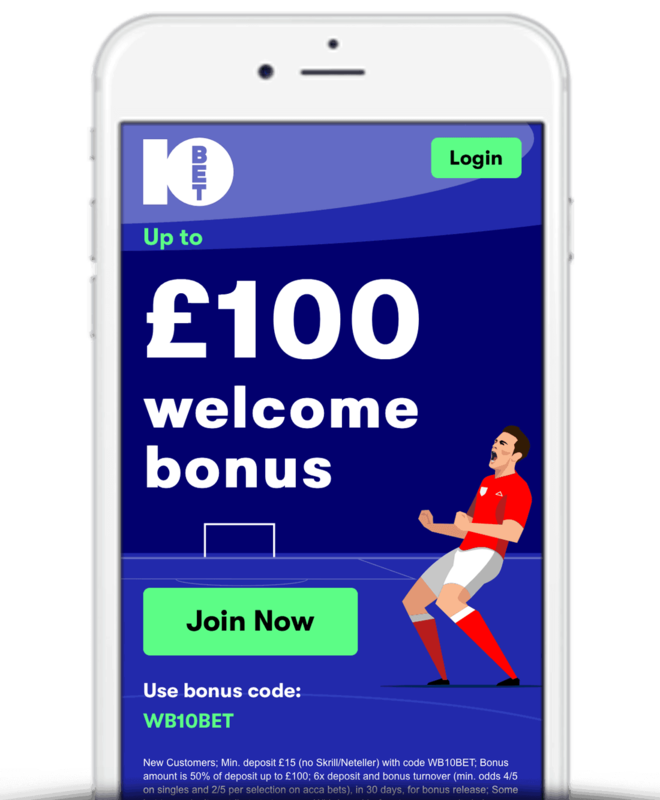 In terms of the actual bonus you can claim, 10Bet’s deposit bonus welcome offer is the joint biggest we currently have on site. So if you’re a high roller this might just be for you. What Is The 10Bet Free Bet Sign Up Offer? Simply sign up today and make a deposit using code ‘WB10BET’ and 10Bet will match your deposit with 50% bonus. For example, deposit £200 and 10Bet will credit your account with a 50% deposit bonus (in this case £100 in free bets). What we love most however is that free bet stakes are returned with any winnings from bets placed using bonus funds once the qualifying criteria has been bet. This is different to almost all other free bet/deposit bonus welcome offers where your bet stakes are not returned. That’s right! Opt In to the 10Bet Acca Club and you can claim a further £10 in free bets each week. Simply place four or more accumulators worth at least £10 each and 10Bet will credit your account with a £10 free bet! Click here to head to the 10Bet deposit bonus sign up offer landing page. Make a deposit using code ‘WB10BET’. 10Bet will then match your deposit with a 50% bonus. To help you fully understand how the 10Bet deposit bonus works, we’ve created a table that features three parts. Deposit – The amount of your first deposit. Bonus – The amount that 10Bet will credit to your account based on your first deposit. Total – This is the total amount you will have to play with. Select your free bet located at the bottom of your bet slip. Step 1) Enter your personal and contact details. Step 2) Fill in your account details. There are a number of key terms and rules you should be aware of regarding 10Bet’s deposit bonus joining offer. We’ve detailed the main ones below although you can find the full T&C’s on the 10Bet website. Only customers who sign up through the correct link (available above) will qualify for the 10Bet deposit bonus offer. Customers who deposit via Skrill or Neteller will not be eligible for this promotion. Free bet bonus of up-to £100. 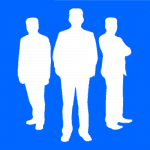 Deposit and bonus amount must be turned over five times within 90 days before withdrawing. 10Bet’s deposit bonus is without doubt one of, if not, the biggest sportsbook sign up offer out there. With a £100 free bet bonus available this is perfect for high rollers. 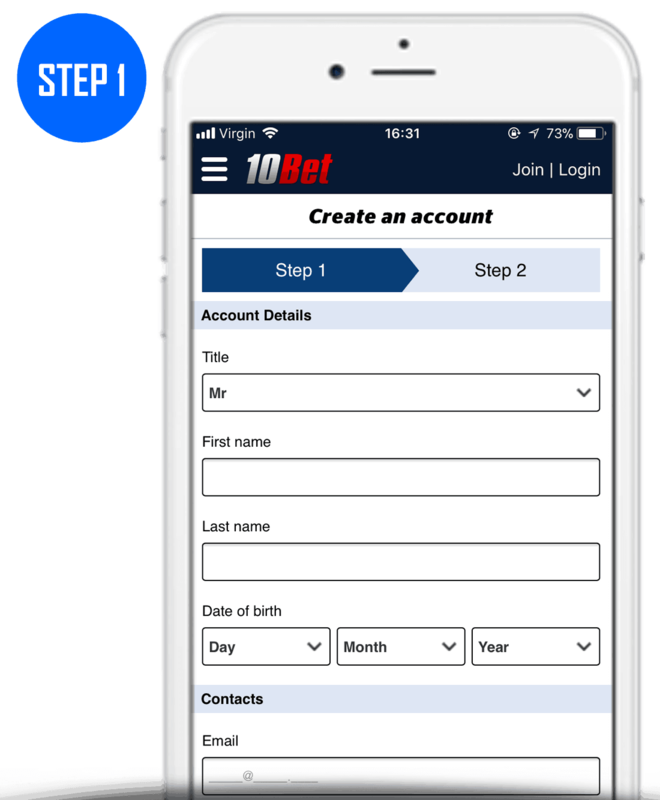 Furthermore, this new customer deposit bonus offer from 10Bet is different to others as all winnings gained from bonus funds include your initial stakes, providing you have met the qualifying criteria.